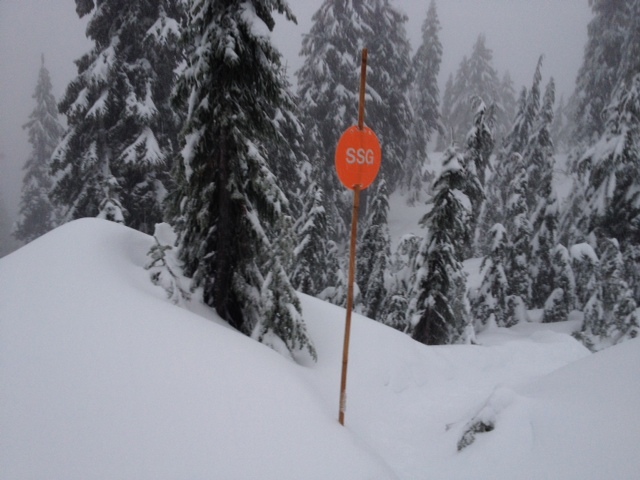 this is from this past saturday… there’s so much fresh snow now! During drop-ins we guide nighttime keeners on the Grouse trails such as the Snowshoe Grind, a beautiful alpine trail at the top of the mountain which winds its way to Dam Mountain for a killer view of the city. (Very different from the summer hiking trail!) We head out at 7pm from the ice rink at the top of the mountain, and often after we end at 8:30, I’m leading the way to the high-altitude pub for a pint or two, and each week I meet someone new. It’s like people come here to make new friends, it makes my heart warm. Before you come, make sure to call or check out the Grouse conditions here, because we’re at the very top, and we will sometimes, (rarely) cancel the evenings if there is weather that could affect anyone’s safety. Safety before snowshoeing, always. To sum it all up… 7pm at the top, (take a 6:30 or 6:45 gondola) bring snowshoes or $10, your favourite headlamp, and dress in lots of layers for a winter workout. (Pull out your thermoregulating base layers, and grab a waterproof shell + maybe a hat if it’s snowing.) Oh ya, and most important, bring a cozy sweater and slippers for apres. But don’t take my word for it, find out more about the program here.